Conrad Osaka is a five-star hotel located at the top of Nakanoshima Festival Tower West, an iconic skyscraper at the heart of Osaka. With exceptional views of the cityscape and modern chic interior filled with contemporary art, the property sets a new standard for luxury hospitality in western Japan. In 2018, the hotel sought to complement its dining offering with a pastry shop and our agency was selected to develop the brand. We were asked to craft an ownable design that would help the brand standout on a crowded patisserie market, while fitting into Conrad Hotel’s brand universe. Consistency with Conrad’s aesthetics was important as the pastry counter would be the first thing guests see when entering the lobby. The identity also had to integrate the hotel’s original concept “Your Address in the Sky” and match its edgy contemporary style. 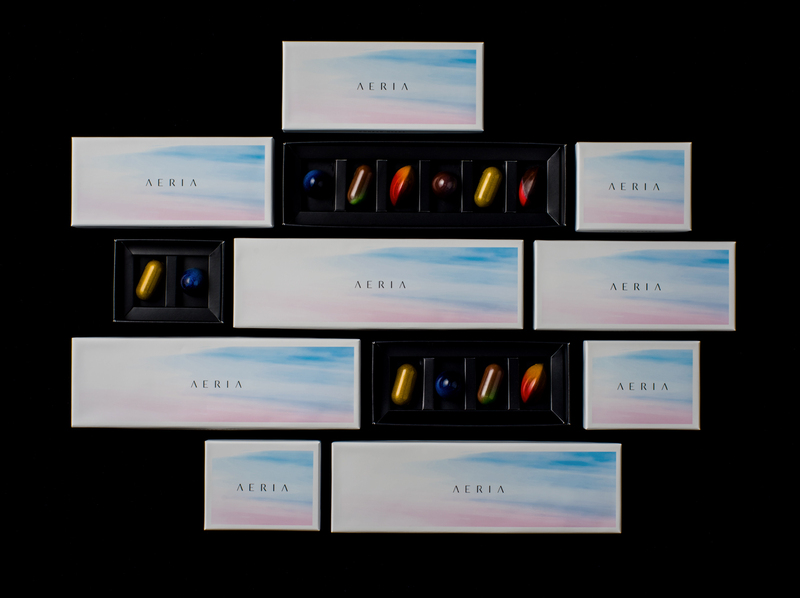 The concept “Taste the Sky” expresses the idea of capturing the beauty of Osaka’s sky into desserts and being able to savor it. 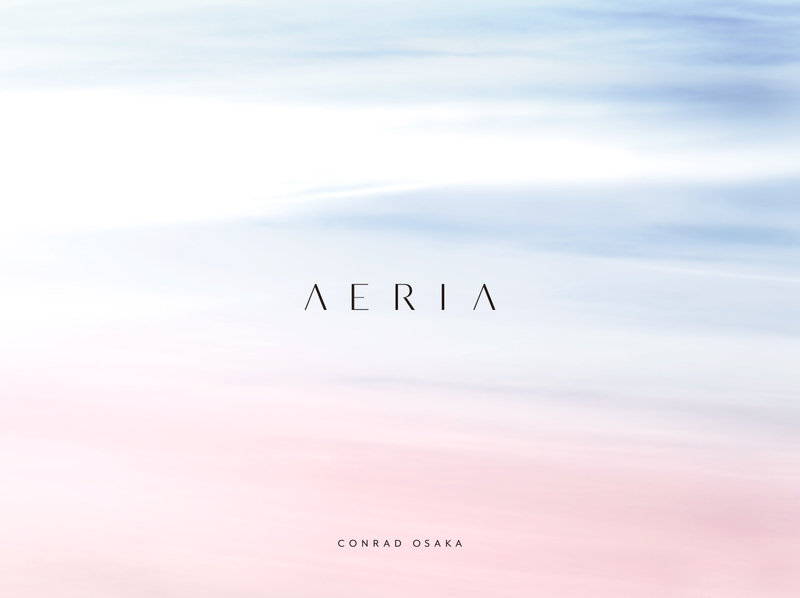 The name, AERIA (“Airy” in Latin), gives a hint of the story without being too explicit. The short length and abstract meaning epitomize the hotel’s signature contemporary style while the Latin origins add a touch of classic elegance. 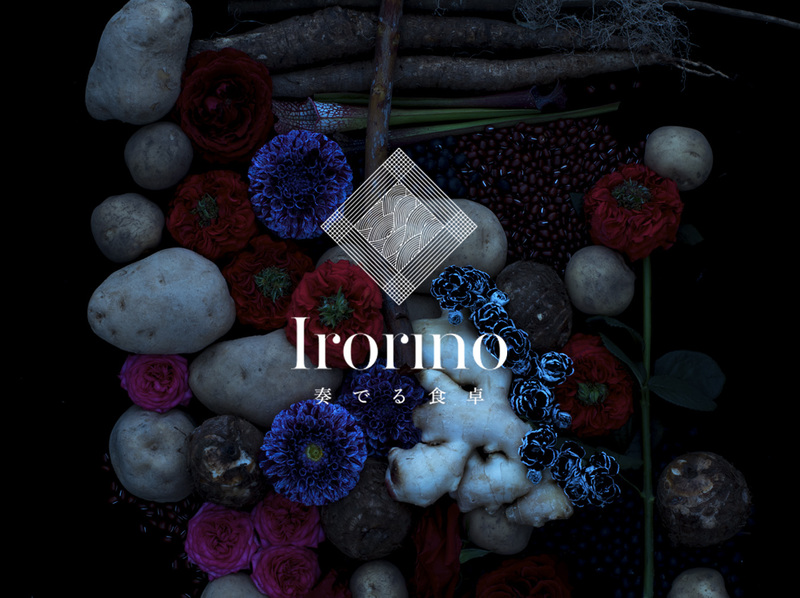 The logo is composed of a seemingly classic typeface that pays homage to the European tradition of Haute patisserie. Subtle details such as the “A” without horizontal bar draws from Conrad logo type, while the arch of the “R” recalls the rounded curves of the pastries. The package design is visually engaging without stealing the spotlight from the products inside. 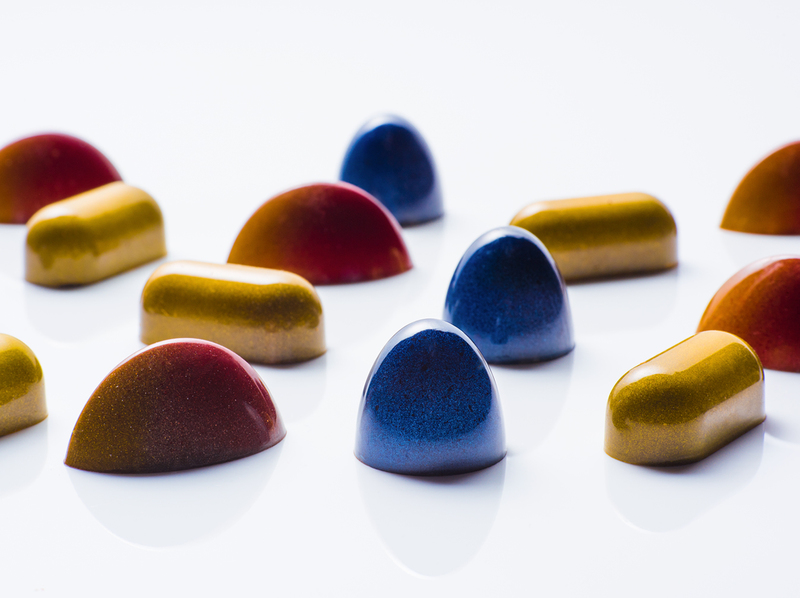 The central motif is an abstract depiction of the sky, contrasted with a sober black - a color associated with sophistication and characteristic of Conrad visual universe - laid on the bottom of the boxes.The overall look & feel strikes a modern, graphic style that purposely disrupts the standards of traditional pastry packaging. 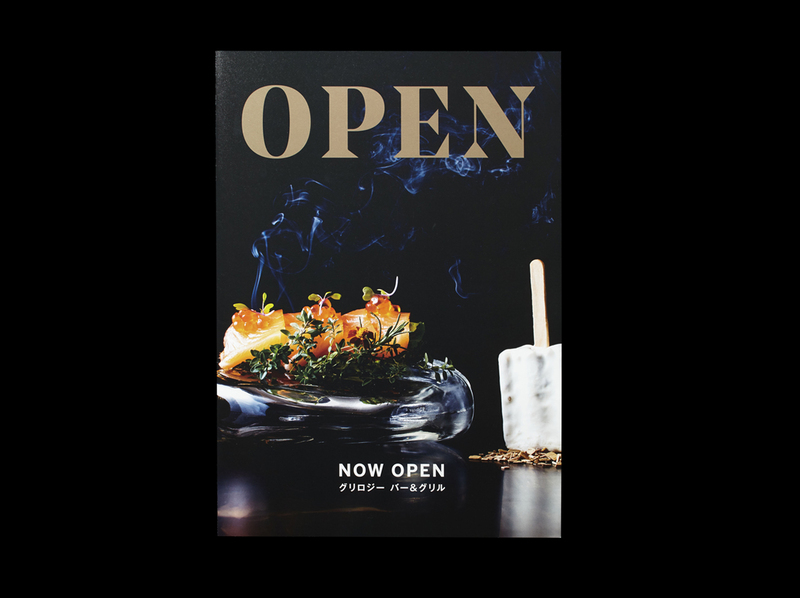 Officially opened on 9th June 2017, Conrad Osaka is situated on the 33rd to 40th floors of the Nakanoshima Festival Complex, which is located on the prime stretch between the Umeda and Namba districts. Conrad Osaka is designed with "the smart luxury traveler" in mind - guests who artfully blend both work and pleasure and have true appreciation for the finest joys in life. 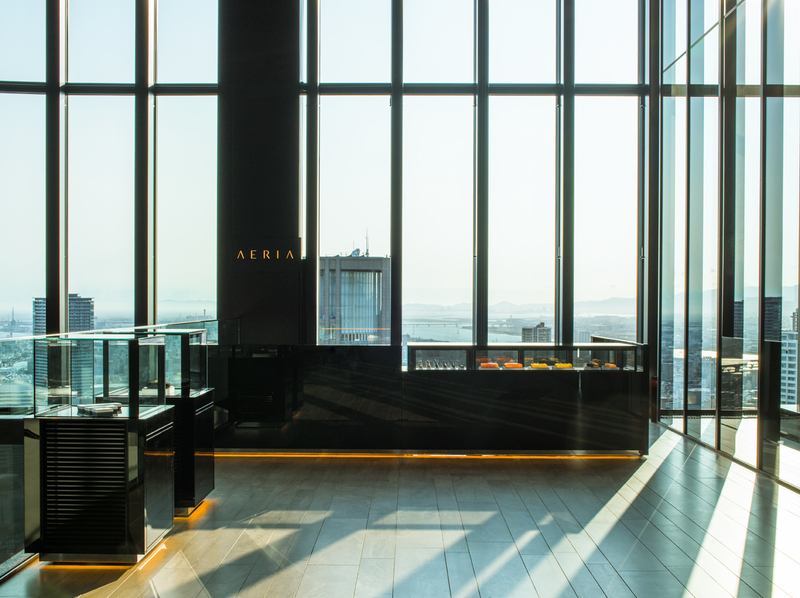 Conrad Osaka welcomes guests to "Your Address in the Sky" with its impressive panoramic views of the Osaka cityscape 200 meters above ground. 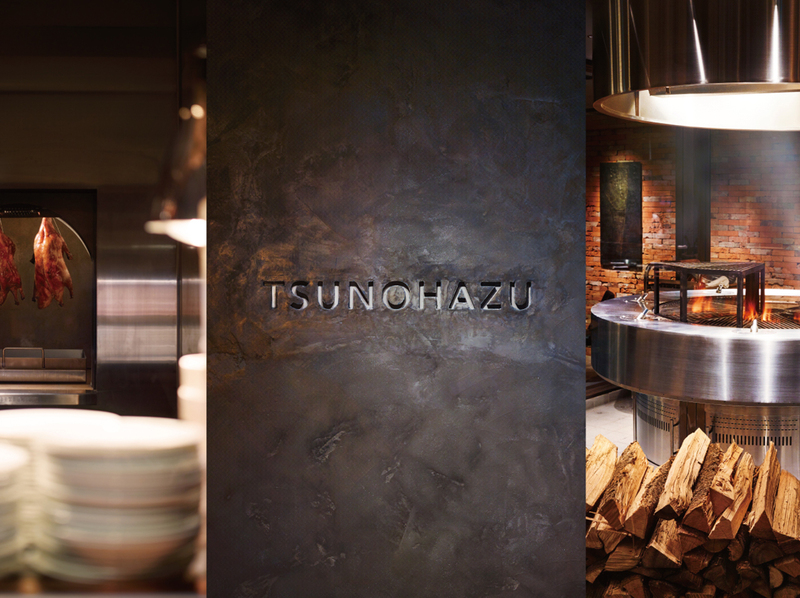 The hotel boasts 164 spacious guest rooms with floor areas that start from 50 square meters, and four dining options as well as a bar and lounge that effortlessly fuse the spirit of Osaka as the "kitchen of Japan " with Conrad's signature culinary inspiration.